Egypt's security forces have long battled ISIL-affiliated militants in the mainly desert region of North Sinai. Striking at a mosque would be a shift in tactics for the Islamists, who usually attack troops, police and Christians. Euronews spoke to two prominent Egyptian political analysts about the latest bloodshed on Friday in Bir al-Abed. Prof. Beshir Abdel-Fattah, a researcher at the Al-Ahram Center for Political and Strategic Studies, told us that militant groups are well aware of the reaction they will provoke by targeting civilians, especially in places of worship. "They wanted to kill as many people as possible, at Friday prayers inside a mosque. They want to show that the Egyptian state can't protect civilians and that terrorism is still in the country," he said. Bloodshed in the Sinai worsened after 2013 when now President Abdel Fattah al-Sisi led the overthrow of his predecessor Mohamed Mursi of the Muslim Brotherhood. "The armed forces and police will avenge our martyrs and restore security and stability with the utmost force," Sisi said in a televised address. For Egyptian political researcher and writer Ammar Ali Hassan, the militants were also eager to hit out at those Bedouin tribesmen who, he said, have "cooperated in a positive way with the Egyptian armed forces in fighting terrorism in Sinai". Militants have killed hundreds of police and soldiers in Egypt in attacks over recent years. Hours after the country's latest bloodshed, Egypt's military said it launched air strikes on targets in mountainous areas around Bir al-Abed, destroying vehicles and hideouts associated with the attack. No group immediately claimed responsibility for Friday's mosque massacre, but since 2013 Egyptian security forces have battled an Islamic State affiliate in the mainly desert region. 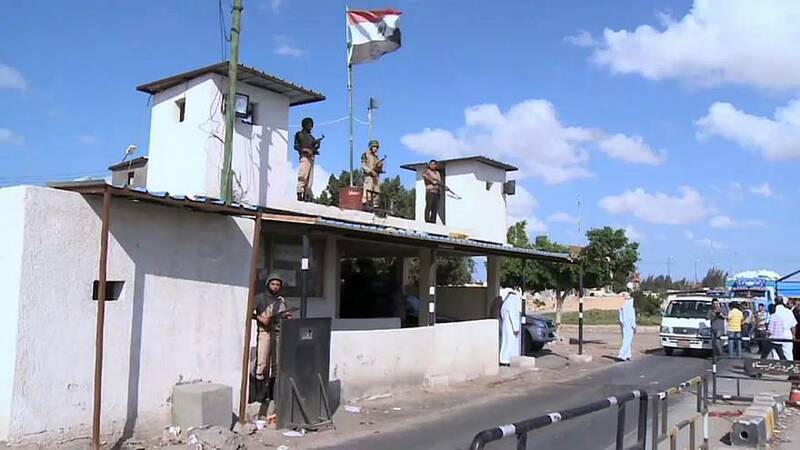 Egypt later said it would delay the opening of the Rafah border crossing to Gaza after the killings due to security concerns. The crossing had been due to open for three days beginning on Saturday.